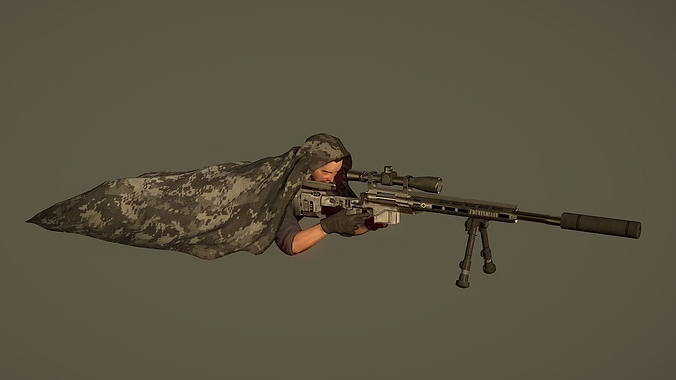 This is a game ready low poly character of a sniper with camouflage and a silenced sniper rifle. Modeled in Maya and sculpted in zBrush. All images are rendered with importet model in Unity3D Engine. Comes with highres textures (2k) and .fbx files, so you can directly import into every 3d package or game engine.